Although there has been interest in insight in bipolar disorder, research has not been as developed as in schizophrenia. The Medline, Embase, and PsychInfo data bases were searched. The key words used in the search were “bipolar”, “mania”, “manic”, “awareness”, and “insight”. Books, editorials, letters, and reports on pediatric subjects were excluded. Abstracts or full texts were screened for relevance. Better insight is associated with better adherence to treatment and better outcomes. 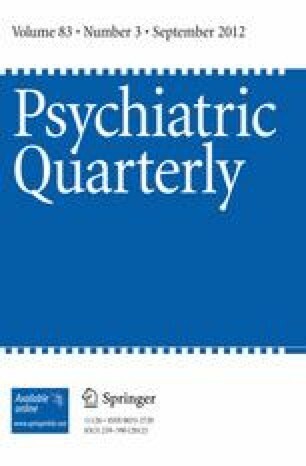 Impairments of executive functions and memory, as well as higher severity of psychotic symptoms, are associated with impairments of insight. Insight is more impaired during an illness episode than during remission, in mixed than in pure manic episodes, in bipolar II than in bipolar I patients, in pure mania than in bipolar or unipolar depression. Psychosocial treatments improve insight and outcomes. There is a need for integration of quantitative assessment methods and their introduction into research and clinical practice. This paper was supported by the research grant NT11047 IGA MZ ČR.